Matching Traditional Details In Ickleton. 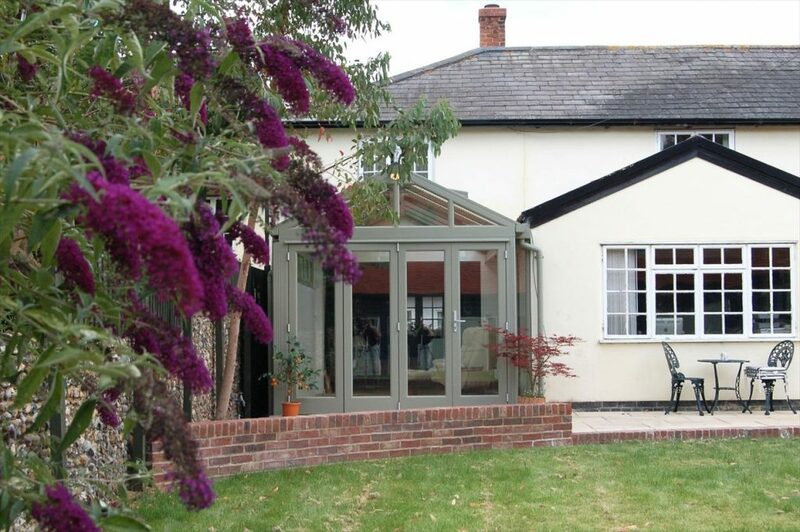 When this Ickleton couple were looking to extend the living space of their beautiful traditional home, they knew they needed a conservatory that would not only compliment the existing architecture, but also enhance it. Nestled in a shaded spot leading directly from their existing living room, this 3m x 4m bespoke conservatory certainly meets their practical requirements but it does more than that. 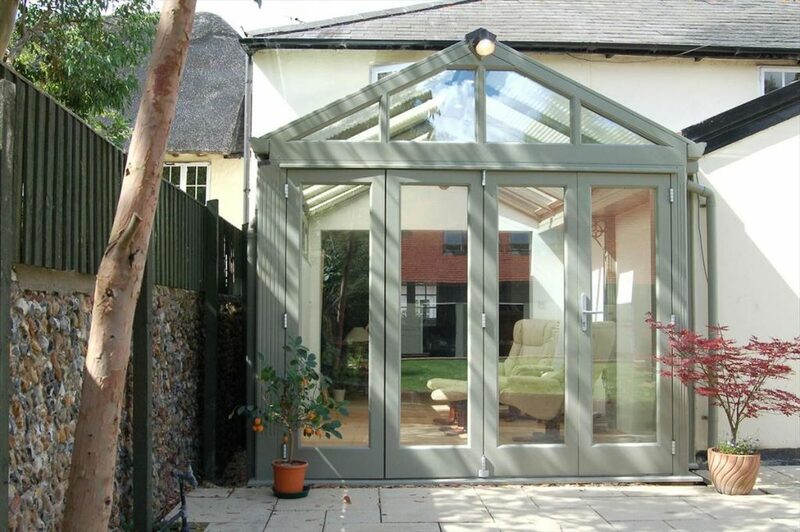 After careful planning and consultation with the owners, The Cambridge Conservatory Centre designed and built a gorgeously detailed conservatory which mirrors the shape and contours of the room alongside it creating harmony and a sense of permanence which is rare in a world of modern extensions. And it’s not only the shape that’s perfect. The colour sits beautifully against the cream walls of the house allowing the conservatory to have it’s own identity while connecting with the natural world around it. At first glance, the details which make this extension such a success are not immediately obvious. But it’s the little things that often make the biggest impact. 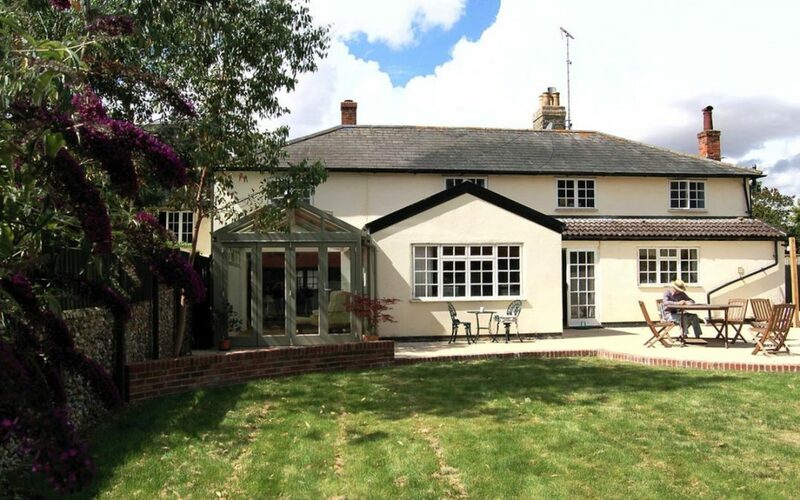 A box gutter was designed to allow the conservatory roof and the roof of the original room next to it to connect together to mange water run off through one simple downpipe. 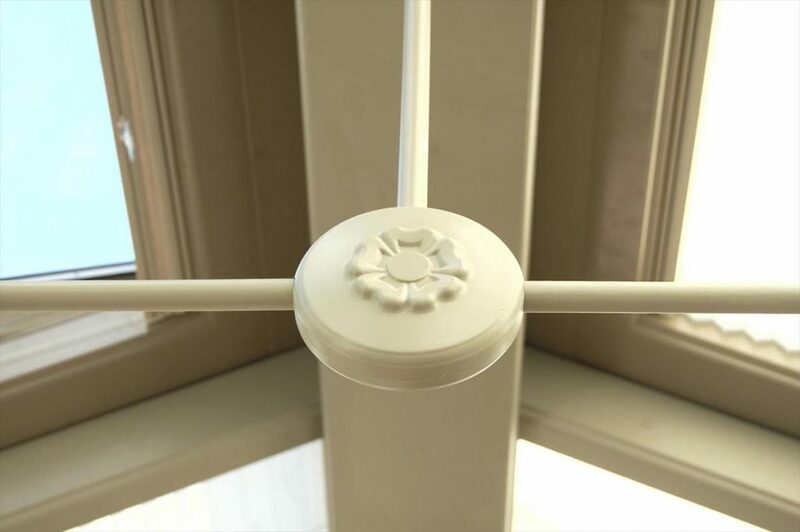 An ornamental tie-bar was fitted to bring the traditional features of the home to life in the new conservatory extension. Spotlights were fitted into the main cross beam of the roof to illuminate the space and give a wonderful ambient feel on long winter evenings. Little things perhaps, but details that makes a big difference to how a room looks and feels. Folding doors were fitted to open up the living space and give direct access to the garden. Where once the only access to the outside was through a narrow hallway, now the owners have a fabulous connection that enables them to truly enjoy their garden whatever the weather.